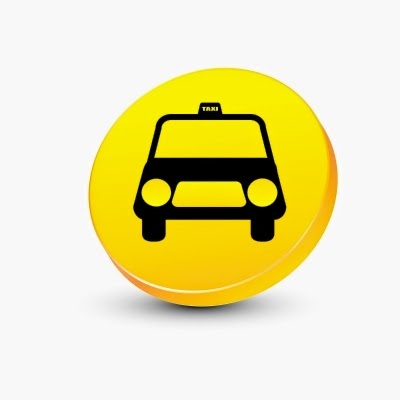 Random Thoughts---Naba: Which cab service in Bangalore do you use? Which cab service in Bangalore do you use? Do you know that traffic is one of those things that Bangalore is really famous for? When I moved here the first thing I was asked about was my reaction to the traffic here. Well, at that point, I wondered what the fuss was all about till it all became clear once I started commuting to work and back. That said, following traffic rules too is a forgotten art in this city. People over-taking from the left or rushing through red signals is a common sight. That added to traffic woes, more often than not, makes shuttling from one place to another a nightmare in this city. But for that you can’t also stay locked up at home, can you? Yes, there are buses but sometimes there’s not even the space to stand, let alone sit. There are autos too but, well, not really reliable. Hence, apart from using your own car, I think the solution is to choose a taxiservice in Bangalore for convenient navigation. That’s what I do whenever my husband is out of town. And since I’m not much of a driver myself, my choice of conveyance always is the cab service in Bangalore, of which we have many. Using a taxi service in Bangalore actually solves a lot of problems that commuters usually face. First of all, if like me, you are averse to driving, you don’t have to worry about using a bus during the rush hours. And even if you do drive, you don’t have to worry about parking the car. Yes, you didn't think about that, did you? Taking a cab service near Bangalore also saves you from deliberations with the auto drivers. And what’s even better is that cabs charge uniformly even if it’s raining unlike the auto drivers who demand exorbitant amounts. Yes, I’m in particular taken by this point because autos and rains in Bangalore is, well, a recipe for disaster. There are so many taxi services in Bangalore that it’s hard to pick the best. My phone book has numbers of over 5 cab services. These days though you don’t even need to call for booking. All you need is the app for the taxi service on your phone. That simple really! Bangalore is one of those cities with a multitude of taxi services, many among the best. And I use a lot of those too. For me a cab service ensures mobility. I can go anywhere irrespective of there being a direct bus service or not. I can go to Hoodi Circle and come back home, which in my case is in Electronics City. Yes, literally from one end to the other without having to worry about changing buses or haggling for an auto! Granted there are some reservations in my mind for taking a cab at night but I still feel strongly that cab services in Bangalore have indeed been godsend for commuters like me. So, tell me which cab service in Bangalore do you use?